One more day and I will be back to work tomorrow. I took a week's leave so as to acknowledge the negative emotions I was having. There has been so much pain and I knew that by giving myself some time I will be able to overcome the depression attacks. Is depression common to artists? I don't really know. Anyway, in this post I will put in what I have been up to. Firstly, I did a lot of writing and have fixed the layout of this blog. I still can't managed to get a paid layout, but this will do for now. 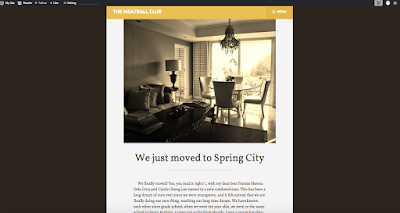 I started a new blog meant for The Meatball Club series in Wordpress. The website can be seen here: https://meatballclub.wordpress.com/ I wanted to create a more realistic investigative story by using this blog. 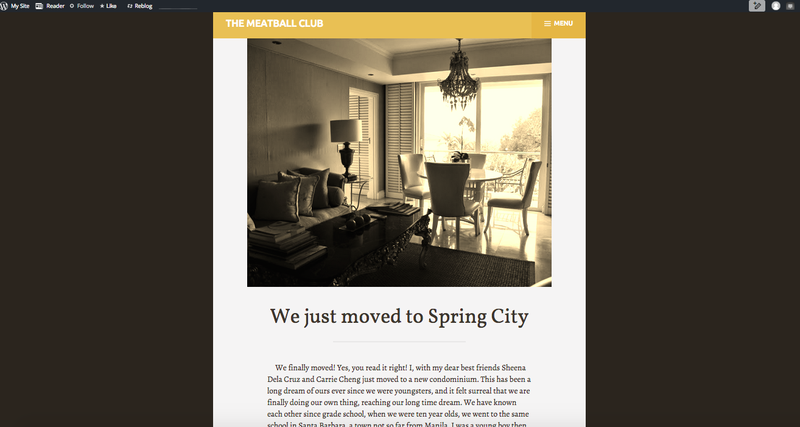 This blog will contain the cases the Meatball Club team will be solving. This is a follow up fictional story for the Building 325 Series which I have originally written in Filipino. I also focused in adding chapters to my other short story turned novel entitled "Sakit ng Kahapon". Response to the series is quite good and I am motivated more than ever to continue writing Ginny's story. I have even incorporated pictures I have taken to the imaginary world I am building. Back to my less interesting life, days were spent lazily inside the house as it was raining heavily most of the days. I have explored the indoor stuff to do such as scrapbooking, watching TV series, sorting out letters, reading books and chatting with various people. I enjoyed it although it can be a bit boring that I needed to rely on myself to entertain oneself. I also managed to submit my application for Hong Kong passport, I'm crossing my fingers that everything will go successfully well. It says 10 working days so I'm getting excited! Having a Hong Kong passport can help me access Europe in the most convenient way, I would not need a visa. The truth is I have not learned any new values nor any new philosophies, but I managed to realign my priorities and reminded myself what I really wanted in life, what can make me truly happy and the person I would like to become. I have cleared my head with confusion and hatred. I have calmed myself, I made myself happy.